American Trim has been forming and decorating metal for over 65 years, and has over 25 years of designing, formulating, and manufacturing coatings to meet our customers’ unique performance specifications. We supply Fortune 500 companies including Tier 1 and Tier 2 OEMs in the appliance, heavy-truck and automotive industries. Building long-standing relationships with our customers, we ship over 40 million parts per year globally from eight facilities in the US and two in Mexico. We are committed to achieving high standards of safety and environmental performance for the mutual benefit of our employees, customers, suppliers, and the communities in which we work and live. Our company’s success depends on exceptional individuals. 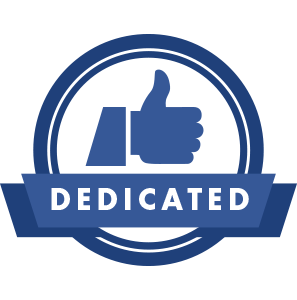 We recognize their leadership and support their continuing education. We are committed to the highest level of ethical conduct and integrity. To develop and market breakthrough ideas and product concepts that improve the aesthetics, performance and enjoyment of products that can be found in every business, household and vehicle system. Acquired Angell-Demmel North America, renamed Alutrim, NA, a premier trim supplier to the automotive industry. Changed name to American Trim encompassing all facilities. Established a new facility in Mexico and added a research and development center. Focused on strategic growth by acquisitions for roll forming, porcelain enamel, ink formulating, screen printing, and heavy tonnage presses. Renamed Superior Metal Products (1962), a name chosen to reflect the continuing development of supplying superior quality products. The business expanded to include stamping for the appliance industry and plating capabilities. American trim supplies a wide range of products including appliance control panels and assemblies, stainless steel appliance components, porcelain enameled products, heavy duty truck bumpers, sun visors, grills, fuel tank brackets, and decorative finishes for automotive interior applications. American Trim excels in developing decorative and protective coatings and maskings, advanced metal form options for complex shapes in a variety of materials and gauges, and a variety of printing processes that distinguish your structural and cosmetic components. Our other capabilities include selective film application, back-molding, precision CNC, assembly, and electronic integration. Our Design, R&D, and Engineering teams support our core competencies by designing for manufacturability. This provides advanced and cost effective solutions for our customer partners. Our design group takes a collaborative approach with customers utilizing cross-functional teams to achieve design intent for product differentiation. The designers are current with global design trends, and use their in-depth knowledge of manufacturability to create cost effective solutions. American Trim leverages research and development to challenge manufacturing processes or manufacturing inputs. We develop custom functional and decorative coatings, specialty adhesives and masking. This focus on innovation will lead us to new products and markets that will shape the future of our company. From concept to production, our engineering resources look at the entire process including rapid prototyping, tool integration, and alloy selection. All products and services provided by American Trim, LLC shall conform to the requirements specified. Each employee is responsible for their input to the procurement, production, support, delivery, service or management provided. 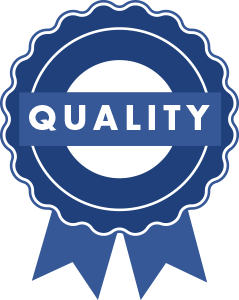 We are committed to continually improving all products and services to maintain American Trim, LLC as the Quality leader in our field. American Trim Sidney Operations is committed to conducting operations in an environmentally responsible manner, consistent with the environmental pillar of sustainability. We are committed to conducting business in accordance with applicable governmental regulations and identified interested party concerns. We will strive to be a responsible corporate citizen through engagement with the community. We are committed to partnering with our customers on product stewardship initiatives. Utilize a comprehensive audit and management review process in order to continually evaluate and improve our Environmental Management System to minimize any environmental impacts of our activities, processes and services. Establish risk-based, cost effective targets and objectives into site activities with the aim of continually improving environmental performance. Document, implement, maintain and control the EMS. 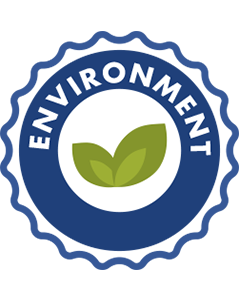 Communicate our Environmental Policy to customers, employees and the public and we will require our employees, contractors and suppliers to perform their duties and responsibilities in accordance with this Environmental Policy.